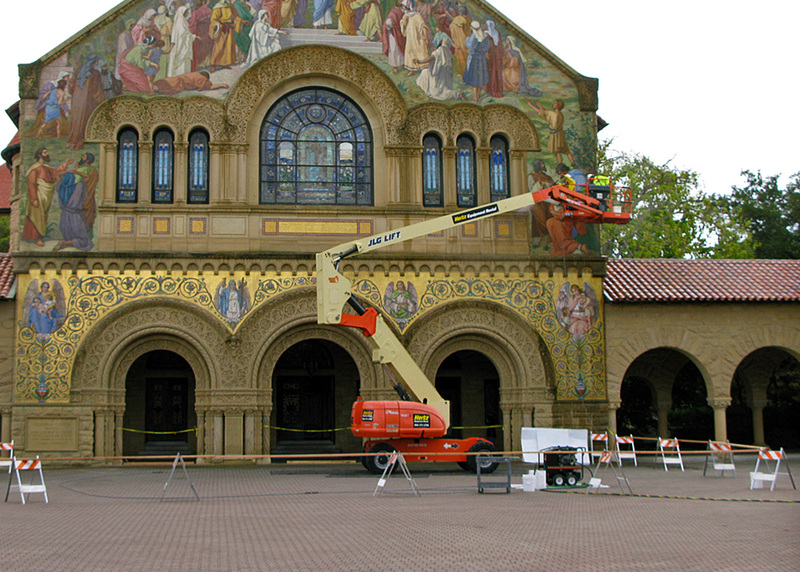 Stanford’s Memorial Church is getting a summer wash up. Graduation weekend has come and gone. 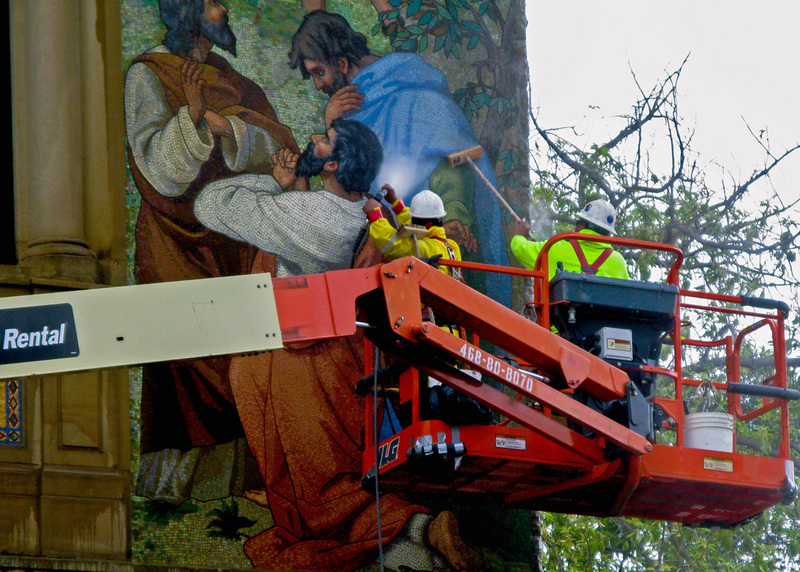 It’s summer on campus and time to clean-up a few things. Careful with those tiles, guys.